These insects get their name from the fact they can quite literally create a stink! If and when they are under threat from a predator these bugs can release very strong, over-powering odours from glands on their thorax. These odours are so noxious they can even produce headaches in humans - so imagine the effect they have on predatory insects or spiders! Most species of stink bug are coloured either brown or green, but some are marked with eye-catching patterns of red and black. Some are herbivores; feeding on seeds, flowers, fruits, cereal crops, tree sap and/or plants - whilst others are predators of smaller insects. 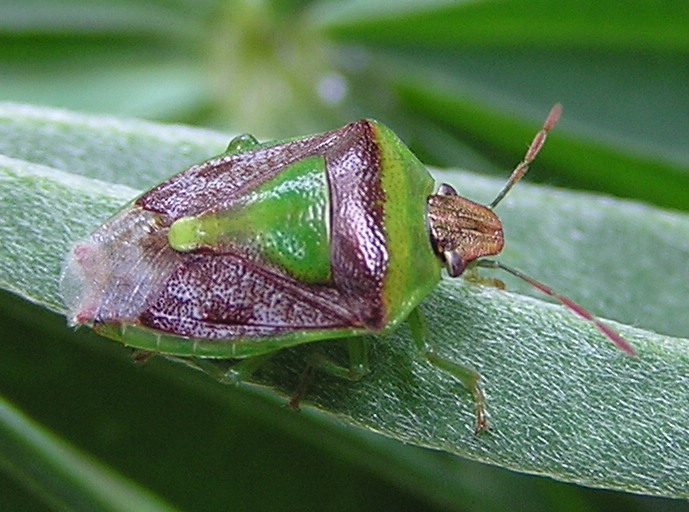 Stink bugs are also known as Sheild Bugs due to the particular shape formed by their head and thorax. it might just let off a smell. it won't be hard to tell. it has no sense of shame. by the finger of blame. it'll make the lift smell even more. and jostling to be first out the door. instead of waiting for a ride!